The following post is from Gizmodo. We heard the rumors over and over: Android apps are coming to Windows 10. It sounded like a good way to let Windows Phone and Desktop users fill the gaps in the Windows Store—but it isn’t happening. Instead, Microsoft is making it ridiculously easy to port Android apps to the Windows Store. And everything else too: iOS apps, Win32 (desktop) applications—even websites. So no, you can’t play iOS games on your Windows machine. 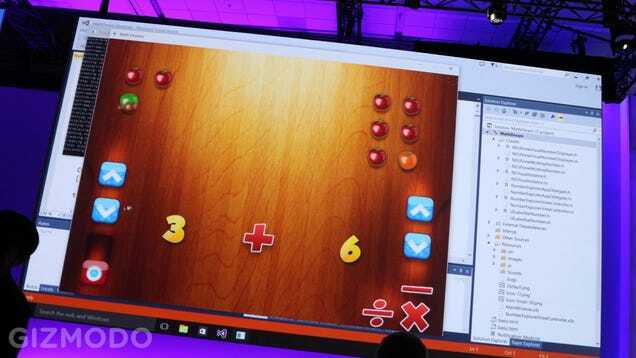 But if you’re a developer, it will be incredibly easy to turn your iOS game into something that Windows users can play. It might seem like I’m splitting hairs: if a developer ports an iOS game to Windows 10, isn’t that an iOS game on Windows? Not exactly. Normally porting an app to another platform requires the developer to rewrite it from the ground up. New code. New resources. New everything. It’s hard, expensive work, and Microsoft is trying to eliminate it. Enter Windows Chief Terry Myerson, who told developers at Microsoft Build that they can now use the exact same code that powers their web, Android, iOS and Windows Desktop apps to port them to the Windows Store. He showed it off in action, and man, did it look simple. On stage, Myerson pulled an iOS Xcode project into Microsoft Visual Studio, natively scrolled around the project’s Objective C code and immediately launched the iOS app as a native Windows app. 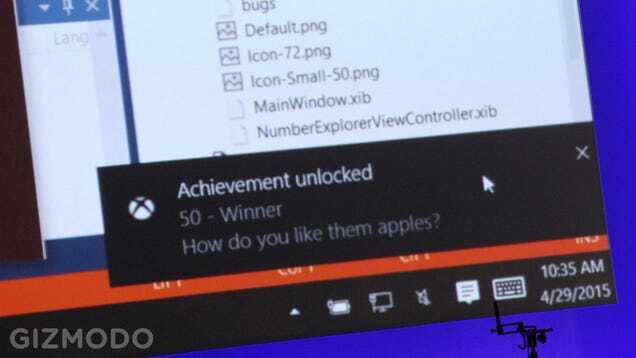 The project can be debugged and optimized right from Visual Studio, he explained, and programmers can even add Windows-specific features, like Xbox Achievements. That’s pretty neat—but it’s bigger than that. Since Windows 10 will share the same code base, all of these ported apps will work on desktop, tablet and phone. Better still, it’s not just for “apps” as we know them today: the new tools are designed to bring almost anything into the Windows Store. Wish your favorite webpage could send you notifications or have an interactive live-tile on the Windows start screen? Now it can—new tools will allow companies to register web pages as apps, making them available to on Windows Store and allowing them to ping your desktop when they update. 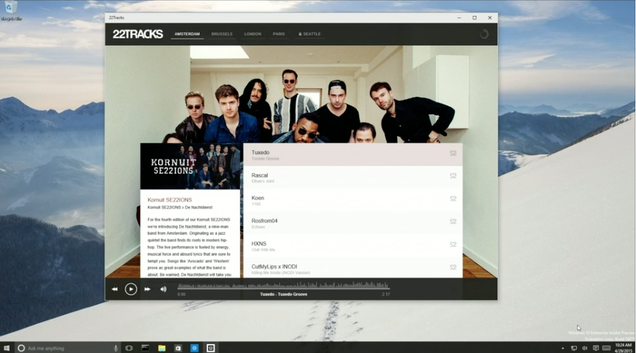 Desktop apps will be easy to port to the Windows Store, too. 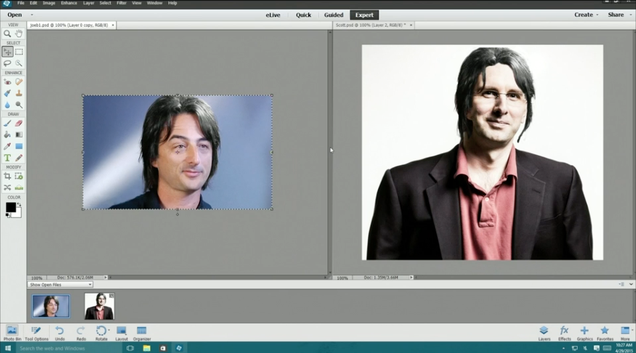 Myers showed off a version of Photoshop Elements that was repackaged for Microsoft’s Modern UI. It’s just like the normal, desktop version of Photoshop Elements—except it’s an easy one-click install from the Windows Store. No setup wizards, no choosing directories, no diving into the add/remove programs dialogue when you want to uninstall it. It’s not the cross-platform app compatibility we expected Microsoft to announce—but maybe it’s better. It’s going to bring more apps to Windows users, namely ones from big name developers that are already missing from the Windows Store (King has already used the tools to port Candy Crush, for instance). It’s also more appealing to developers on multiple platforms: for the first time ever, Microsoft will be releasing its Visual Studio development tools on Mac and Linux. This sounds like a good thing—but it isn’t perfect. Windows users still have to wait for the developers of their favorite apps to decide to port them over—and if the current marketplace is any indication, Windows is almost an afterthought to iOS and Android developers. Will these simple porting tools be enough to convince developers to close Windows 10’s “app gap”? I hope so. 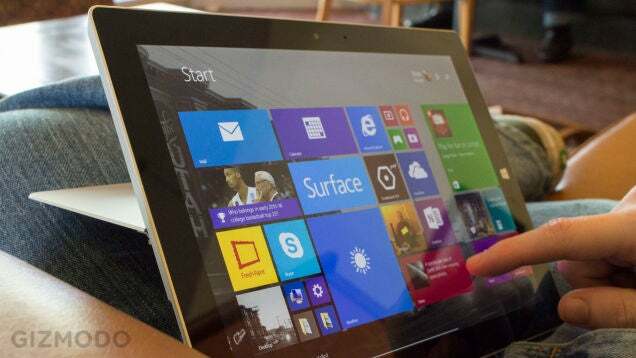 Otherwise Microsoft’s promised “1 billion device” install base isn’t going to have much to do.